The ‘Sad Clown with the Golden Voice’ is here with a suitcase full of all new emotional anthems and plenty of Kleenex! As with any Pity Party performance, it’s not all sadness and longing. 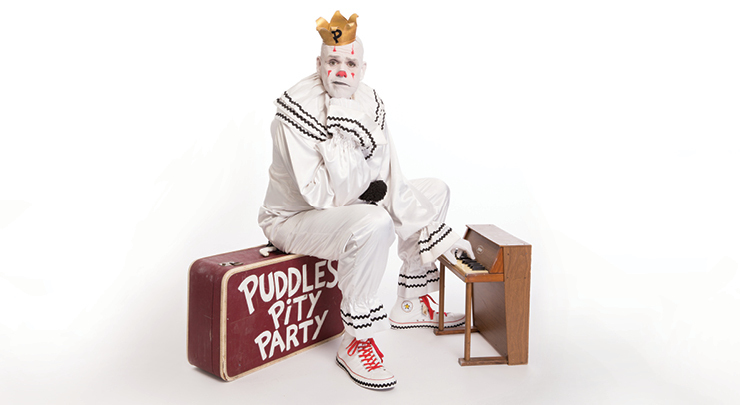 Puddles’ set is peppered with a brilliant sense of the absurd, mixing humor with awkward, yet tender moments. Don’t miss this unique performance, as it won’t be long before the softhearted crooner continues to wander the world with melancholic pop anthems and free hugs for all the party people.